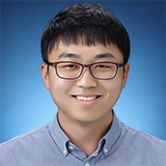 Shounan An is a machine learning and computer vision engineer in Video Security Development team, Data R&D Center at SK Telecom. Previously, he spent seven years as a senior research engineer in the LG Advanced Institute of Technology. Shounan obtained his M.S. in 2010 from Pohang University of Science and Technology (POSTECH), South Korea, and his B.S from Southwest University, China. His research interests are in machine learning and computer vision in general with special focuses on deep neural networks and vision algorithm design and optimization.